– Archaeobotany (also known as paleoethnobotany) is the study of plant remains, providing information on dietary habits, on the emergence of agriculture in prehistoric societies, and in determining the season in which a burial or other activity took place. Archaeobotany frequently overlaps with forensic archaeology and has been used in modern criminal investigations. – Landscape archaeology looks at the material traces of past peoples, with regard to how they interacted with their natural environment. 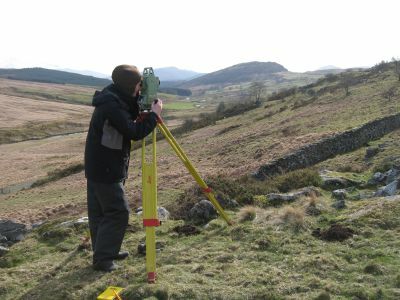 The key feature that makes landscape archaeology different from site-based approaches is that areas of investigation are not limited to the boundaries of an excavation, but can instead stretch for many miles. Excavation is usually impractical for such a big area, so landscape archaeologists look at visible features such as: earthworks, cropmarks, soilmarks, standing buildings and other evidence of human activity. Survey of these sorts of features across large areas can produce a new perspective on the archaeological record.